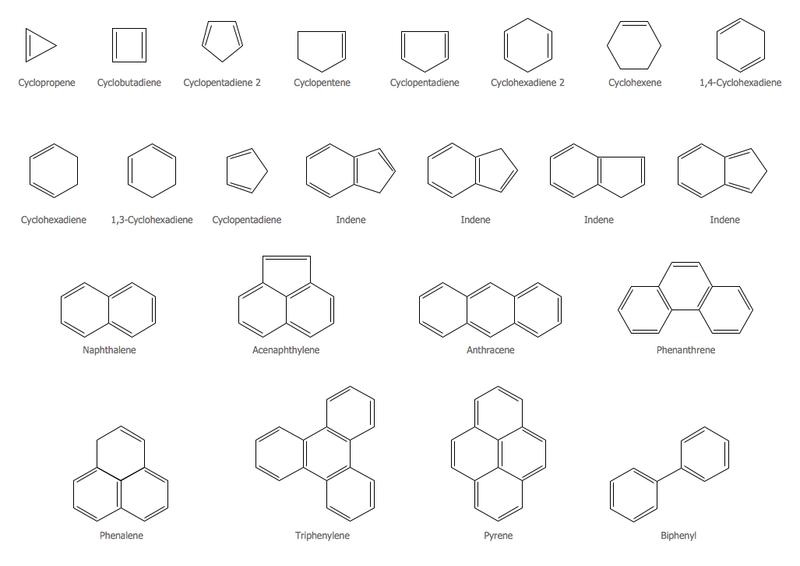 ConceptDraw DIAGRAM extended with Chemistry solution from the Science and Education area is a powerful chemical drawing software that will help you design various chemical schemes, diagrams, and illustrations. 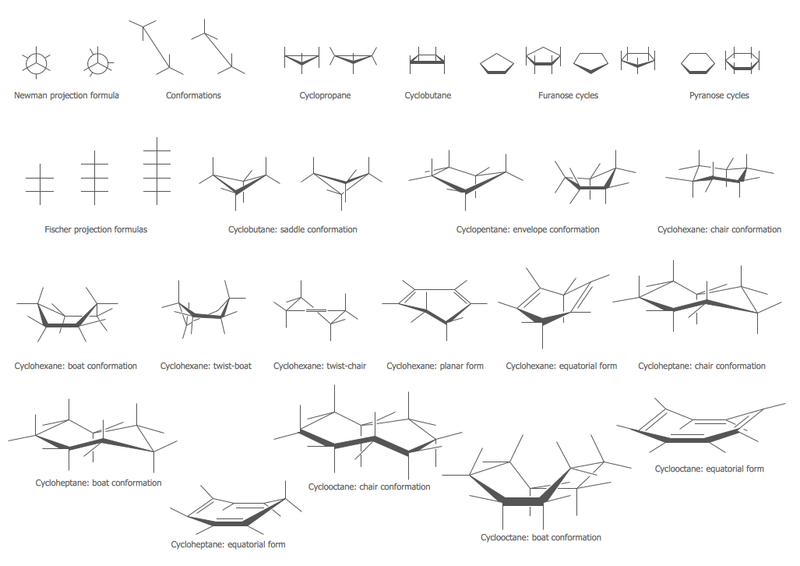 Use the shapes from these libraries to create your chemistry drawings quick and easy. 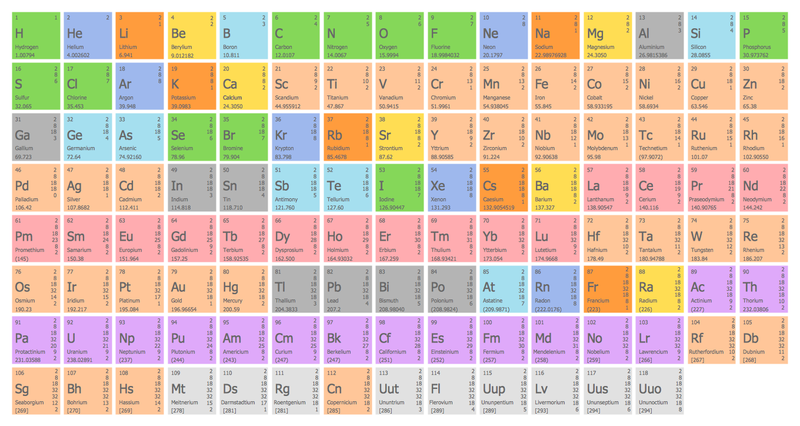 Simply drag the predesigned stencils from the libraries to the document, arrange them, color the background, type the text and title to get the excellent result – your own chemical scheme in minutes. 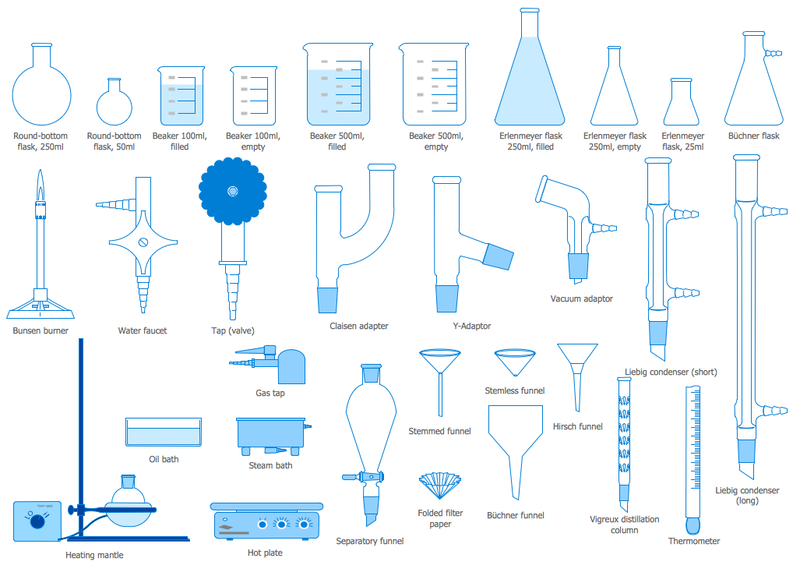 It’s very fast and easy way of chemistry illustrations drawing, and the most important – you don’t need to be the painter for this. This sample was created in ConceptDraw DIAGRAM using the Chemistry Solution. 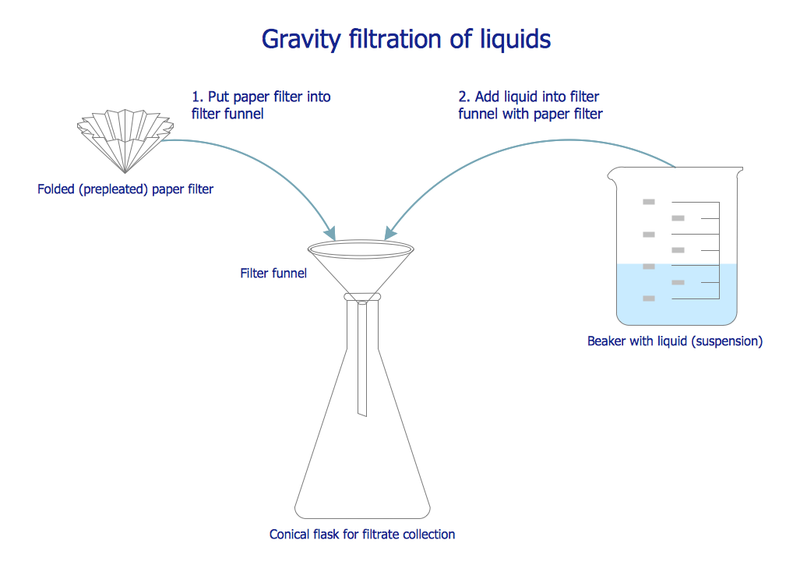 It shows the process of liquid gravity filtration through a prepleated paper filter. An experienced user spent 5 minutes creating this sample. Use the Chemistry Solution for ConceptDraw DIAGRAM software to create your own professional looking chemical drawings, diagrams, schemes and illustrations of any complexity quick, easy and effective, and then successfully use them. The chemical schemes designed with ConceptDraw DIAGRAM are vector graphic documents and are available for reviewing, modifying, converting to a variety of formats (image, HTML, PDF file, MS PowerPoint Presentation, Adobe Flash or MS Visio), printing and send via e-mail in one moment. ConceptDraw DIAGRAM v12 extended with Chemistry solution from the Science and Education area is a powerful chemistry drawing software that provides the useful tools to help you design all kinds of chemistry drawings and illustrations, chemical schemes and diagrams of formulas, reaction schemes and lab set-ups of any complexity. If you are related with chemistry in you work or education activity, you need often draw various illustrations with chemistry equations. ConceptDraw DIAGRAM v12 diagramming and vector drawing software offers you the Chemistry solution from the Science and Education area. 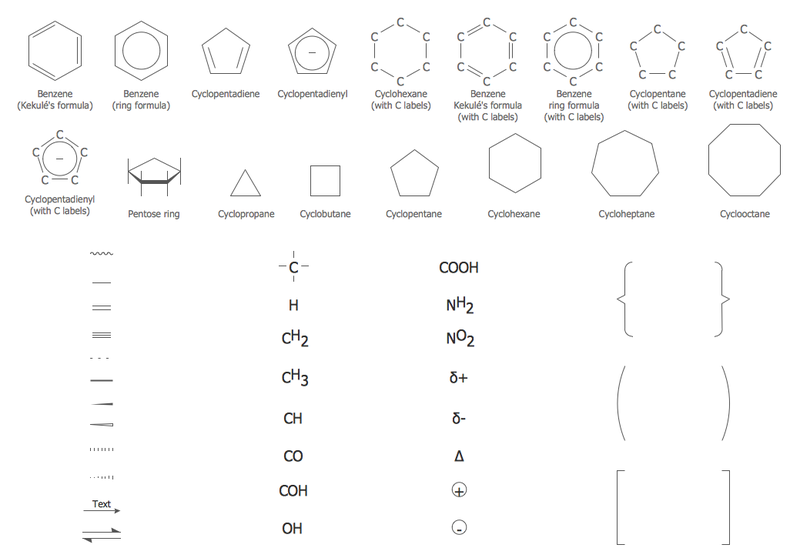 Chemistry solution provides the Chemical Drawings Library with large quantity of vector chemistry equation symbols to help you create professional looking chemistry diagrams quick and easy. 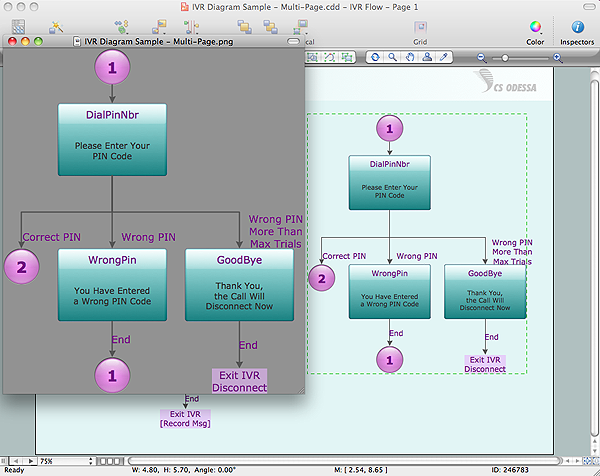 ConceptDraw DIAGRAM v12 diagramming and vector drawing software extended with Physics solution from the Science and Education area is a powerful software for creating various physics diagrams. Physics solution provides all tools that you can need for physics diagrams designing. It includes 3 libraries with predesigned vector physics symbols: Optics Library, Mechanics Library and Nuclear Physics Library.